There’s a big problem when looking for legitimate work from home jobs that can be started IMMEDIATELY. 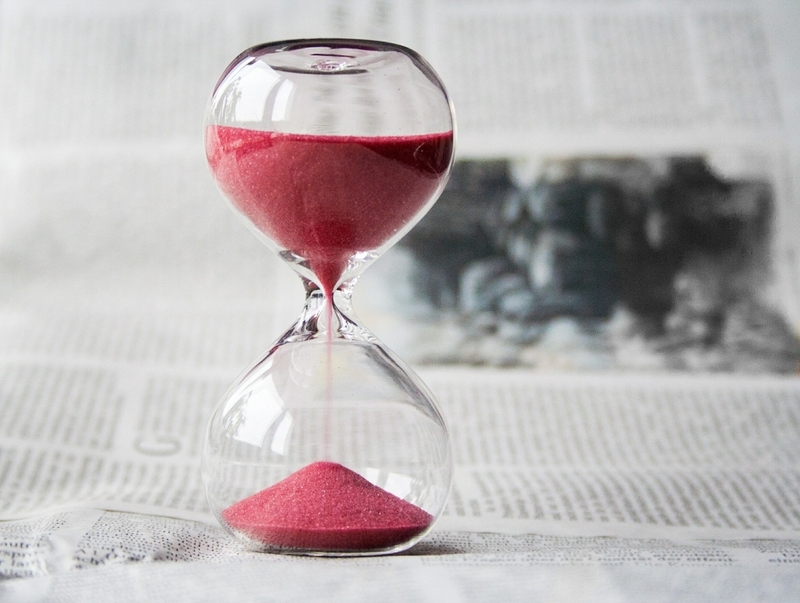 Most of the time, “immediate hire” doesn’t mean you can start the job immediately. It means the company has an immediate need for someone. There’s still the usual hiring process, therefore, you won’t be hired right off the bat. Which is why I’m going to reveal some home based jobs with immediate start potential. 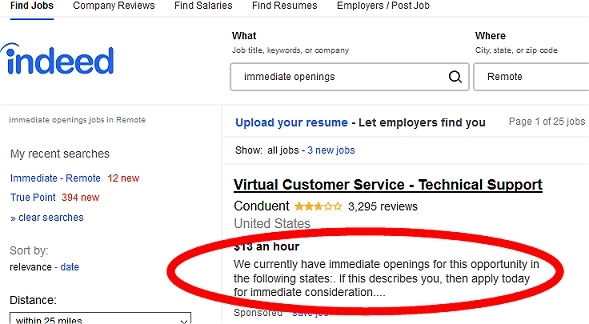 Popular job-finding sites like Indeed, Zip Recruiter, Monster, and Glass Door let you narrow down your search by location, type of job, hours, and salary range. 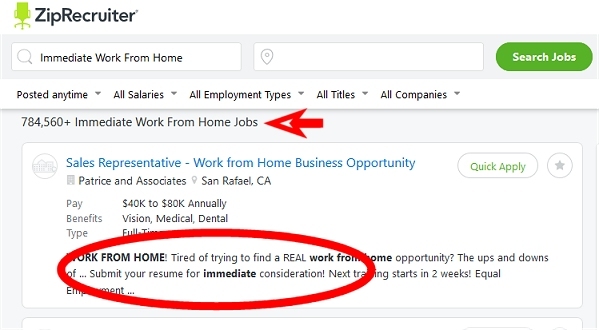 You can even search by keywords like “immediate hire work from home”. Once you’ve done a search, you’re presented with a whole bunch of jobs that are AVAILABLE now. In other words, you won’t be HIRED now, you are applying to these jobs for immediate CONSIDERATION. Take a look at this job posting on Indeed when I typed the keywords “immediate openings” in the search bar. See what I mean ? Immediate consideration. Same thing with Zip Recruiter. 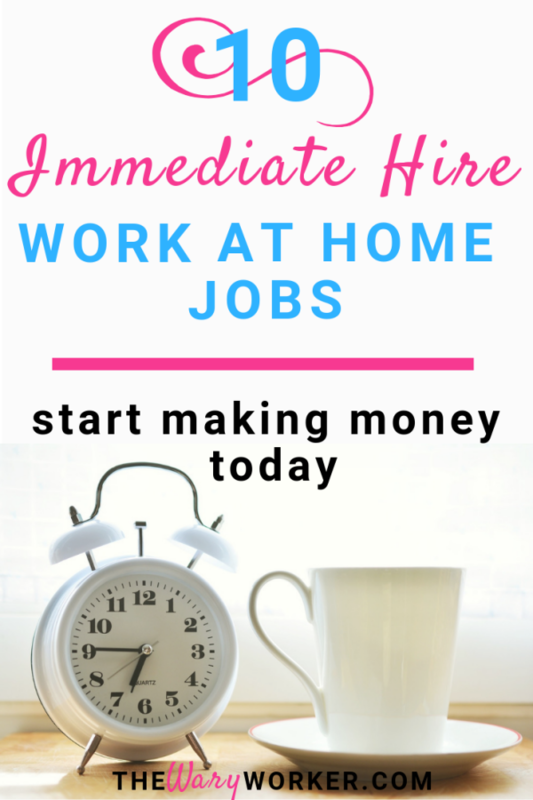 Do you really want to scroll through nearly 800,000 “immediate work from home jobs” on the off-chance you’ll actually find one that will hire you IMMEDIATELY ? If you like variety, doing short tasks is for you ! Basically, you’ll pick-and-choose quick assignments and earn money. How much you earn depends on the type of task as well as how many you do, with longer, more involved tasks paying more. For instance, you might spend 2 hours writing a blog post and earn $20.00 or you might assign keywords to a photo and make $2.00. Being a Virtual Office Assistant means you can make as much money as your potential allows by doing the office-y things people and business owners don’t want to do themselves. 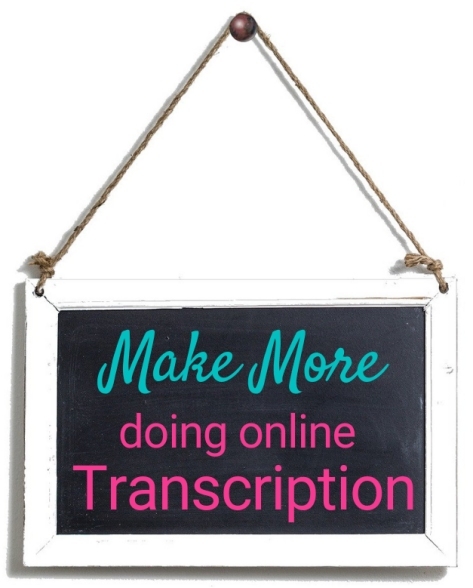 And it’s super-easy to start making money, thanks to Virtual Office Temps (VOT). The company or business owner will contact you through VOT if they think your skills match their needs. Jobs get snagged-up quickly so you have to be diligent ! But don’t worry, Fiverr is another option. Set up a profile describing your Office Assistant skills and start getting gigs. In addition to VOT, there are a few companies that hire Virtual Office Assistants. However, a scaled-down version of the typical application process rears its ugly head. Although you will have to “wait to hear if you got it”, the wait time isn’t too long – averaging about two weeks. 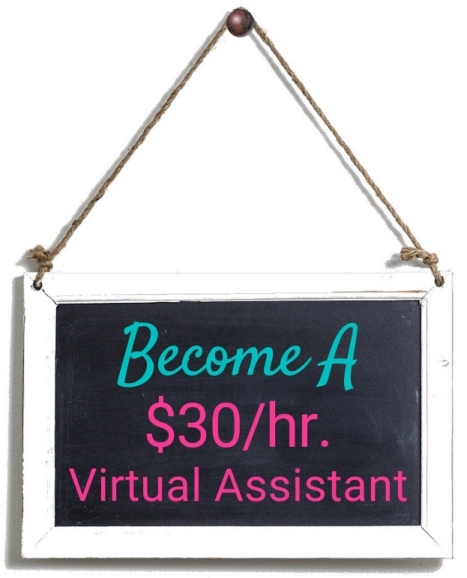 Want to be a virtual office assistant but have no clue how to get started ? I strongly recommend this inexpensive online course. #3 Test Websites and Apps. Bloggers, website owners, and app. developers know how important it is to have a finely-tuned product. But they are biased and can’t always see their flaws. To make sure their blog, web site or app is perfect, they pay people to test them. In other words: they hire YOU to test their stuff. Enroll and Respondent are the two website testing platforms I use. To get started, I enrolled in the program by submitting my email address,creating a password, and picking my preferred method of testing (desktop computer, tablet, or smartphone). Once fully registered, I received emails when assignments were available for me. Tasks and pay vary, but I did one job that took less than 5 minutes and it paid .80 cents. There are several other testing opportunities out there, like Usertesting.com and Userzoom. Here’s a tip to make money doing web and app. testing: As soon as you receive an invitation to participate in a test, grab the opportunity ASAP ! Sometimes people need a little nudge. A little guidance in their life or business. The first thing you need to do is set up your profile, explaining what you coach. Then, with the platform’s marketing help, you get paid when you engage with a client. Shipt is the most well-known shopping/delivery service out there. In fact, a few years ago, Publix grocery stores in the Tampa, Florida area was having trouble meeting customer demands for food delivery services. So there’s no doubt there is a need for shoppers. A customer creates a grocery list via the Shipt app. You, the Shipt shopper, do the shopping and make the delivery to the customer’s home. You get paid weekly, up to $22.00 an hour. A while ago I wrote about several ways moms can work from home with little experience. One job that stands out – and is perfect for the immediate-start topic of this post – is becoming a kid-friendly Travel Planner. 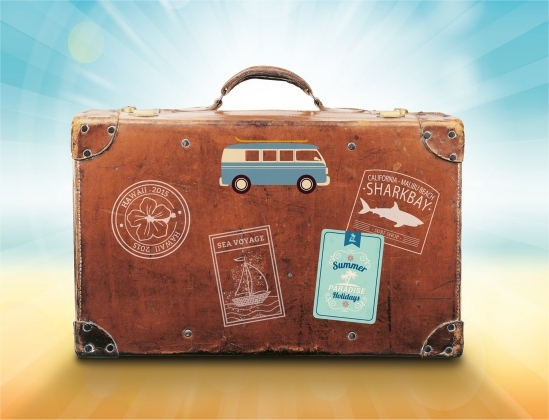 If you know how to keep the little ones happy when planning a vacation, this is the perfect job for you ! You can be a Disney Travel Specialist at Magical Vacation Planner, and make over $1200.00 a month. Or check out Love The Mouse Travel, Mickey’s Travel, Mouse Hunters Travel, and My Mickey Vacation Travel. There are many different deliver services out there, from delivering packages with Amazon Flex to picking-up things “on the way” with Roadie. In fact, I list several delivery service jobs in this post.. Although not an instant job, delivery service jobs have a short hiring delay, and for good reason. With Uber Easts, a food delivery service, it’ll take about 3-5 days to get approved. Postmates takes about 3-10 days to approve you. The reason for the delay: you have to pass a background check. However, this will not only clear you for a job, it will instill confidence in all parties. The earnings depend on the number of hours you work, which can average $8.00 to $15.00 per hour, including tips. This is a cool new way to make money online…immediately. 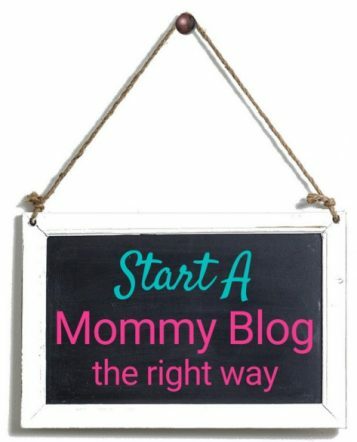 For bloggers, Pinterest is an effective way to market a blog. However, it can be overwhelming. First of all, there’s all the Pin creating and organizing. Second, there’s the sharing and marketing aspect. And third, it’s very time consuming. So bloggers pay people to do the work for them. Sounds simple, but the truth ? You have to take A LOT of pictures. Unless you’re a Special Niche Photographer. Bloggers need photos for their blog posts. And they’re sick of using the same-old free images that everyone else uses. So they pay to have some awesome fresh, never before used, images. Whenever the mood hits you, whip out your cell phone and snap some pictures. The secret, though, is to stay within a niche. For example, this work at home blog, caters to people wanting to work form home. The blog posts use pictures that have office-y related scenes. Computer, office supplies…you get the idea. 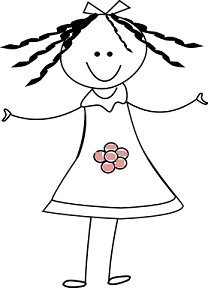 Another example is Amy Ransom’s blog on surviving motherhood. She focuses on all things mom and uses images with a child theme. So, where do you go to sell your specialized niche images ? First, go to Fiverr, a goldmine marketplace for people looking to buy never-before-used pictures. Just set up your profile in a way that lets people know you’ll sell them a certain number of pictures. Then try out Foap and Shutterstock. Technology has made it possible for you to open a boutique clothing store and FOR FREE ! Stylevate lets you set up a free storefront and earn up to 20% commission selling clothes from big-name fashion brands. Teespring lets you create tee shirts, hoodies, sweatshirts, totes, throw pillows…just about anything fashion related that warrants a creative touch. I’m putting Conversational English Teacher on the list because it’s an almost immediate way to work from home. I say “almost” because you have to go through the registration process. But don’t worry, places like DaDa and Magic Ears are pretty quick to respond and you can be making money teaching English as a second language soon. Did I supply you with enough ways to start working a remote job…immediately ? Have you tried any of these jobs ? Leave me a message and let me know !